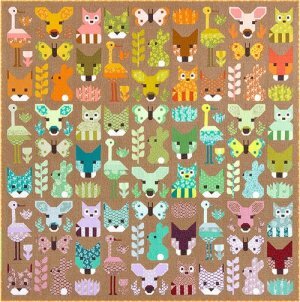 New Fabrics by Heather Ross, Elizabeth Hartman, and Violet Craft have arrived!!! 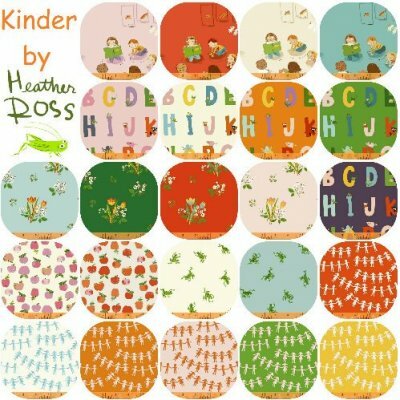 Kinder is inspired by designer Heather Ross’ daughter Beatrix's year in kindergarten. The prints are inspired by her classroom itself (plus an apple for her teacher), and the colors straight from the rainbows that she and her classmates made at the beginning of the school year in homage to the diverse community in which they live. Check out the Kinder Lookbook for amazing projects. Come in or check out the fabric online. 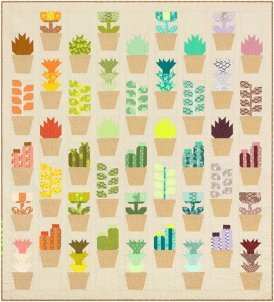 The Terrarium Collection by Elizabeth Hartman features succulents and her signature motifs in a palette inspired by desert landscape. Two new patterns the Delightful Desert and Greenhouse feature her Terrarium fabrics. We have precuts and essex coordinates in both the cool and warm color story. 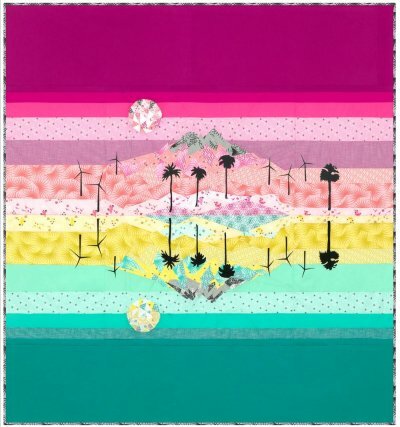 The Palm Canyon Collection takes you on a road trip to Palm Springs in a Mid Century Modern wash of aqua and pink. This collection has us swooning and wishing we were sewing poolside with a fancy umbrella drink. We are in LOVE the new collections by Heather Ross, Elizabeth Hartman, and Violet Craft!!! New fabric arrivals means our SALE section has expanded. This is a great opportunity to stock up on quilt backs. We have room in our in Farmer's Market Tote Class tomorrow from 2-5pm. Sign up here.